Putin arrives in Serbia today (January 17). A fountain on Belgrade’s main square was lit up in the colours of the Russian and Serbian flags, and bookstores in Belgrade are displaying works about Putin. Despite the high security, thousands are expected to greet the Russian leader in front of the Church of St Sava, Serbia’s biggest Orthodox church. Although Serbia is a candidate to join the European Union, it remains a close ally of Moscow. Belgrade has refused to join Western sanctions against Russia over Ukraine and has promised it will stay out of NATO, but its neighbouring Balkan countries have taken a different approach. Montenegro, in 2017, joined NATO while Macedonia, trying to settle its name dispute with Greece. It is also waiting to enter the Western military alliance. Last week, Bosnia’s potential membership also came to light. Serbia’s four other neighbouring countries are already part of NATO. 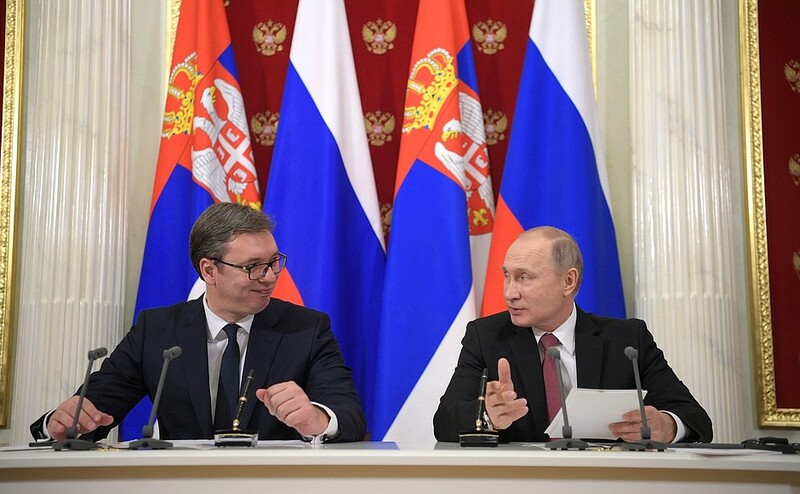 The question still remains, if Serbia is so adamant about joining the European Union, then why do they keep publicly showing its alliance to Russia? Diplomatically, hosting Russia’s president is a reminder to the EU not to take Serbia’s loyalty for granted – Serbia is expected to reach a broad agreement on normalisation of relations with Kosovo by the end of 2019 allowing for Serbia to meet its accession target of 2025 for joining the EU.